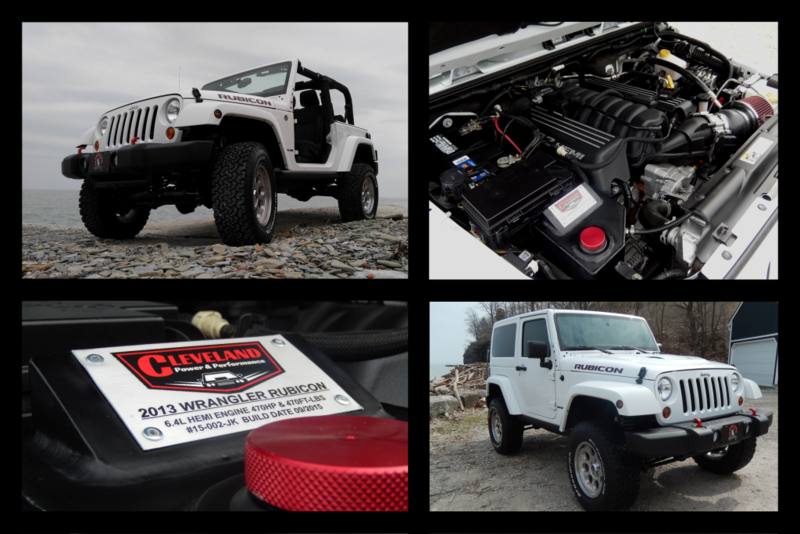 Cleveland Power and Performance is proud to present this one of a kind, custom built 2013 Jeep Rubicon that has been swapped with a 6.4L HEMI and 6 Speed manual transmission! This extremely clean Rubicon has been professionally custom built with countless hours of fabrication. Unlike nearly every other HEMI swapped Jeep, this one was not built using a kit. All swap components were custom made in house with full attention to detail. This gives the underhood and underside of this Jeep a “factory” look that cannot be replicated when using a kit. This Rubicon has been professionally built while sparing no expense and overlooking no detail! All original Rubicon features remain fully functional including swaybar disconnect, axle lock, cruise control, as well as 4WD high and 4WD low. All fabrication was done in house. 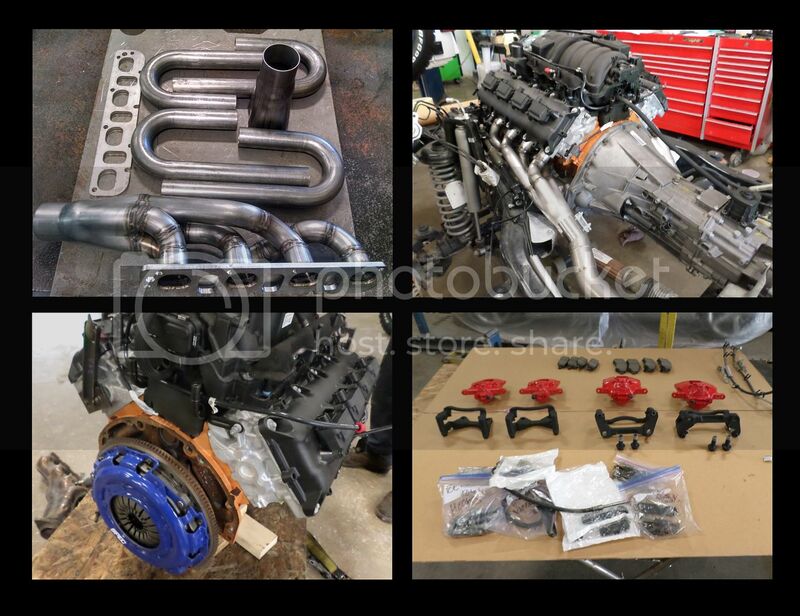 That includes the custom made long tube stainless steel headers, 3″ mandrel bent exhaust, air cleaner, aluminum overflow bottle with numbered build plaque and much more! This Jeep is riding on brand new 3 1/2″ lift with Fox 2.0 adjustable shocks with remote reservoirs. The calipers have been painted and stuffed with new pads, and there are new cross drilled and slotted rotors on this Jeep. This Jeep is sitting on 17″ Level 8 Tracker wheels, with a matching full size spare mounted to the gate. All five wheels are wrapped in BFGoodrich All-Terrain tires. 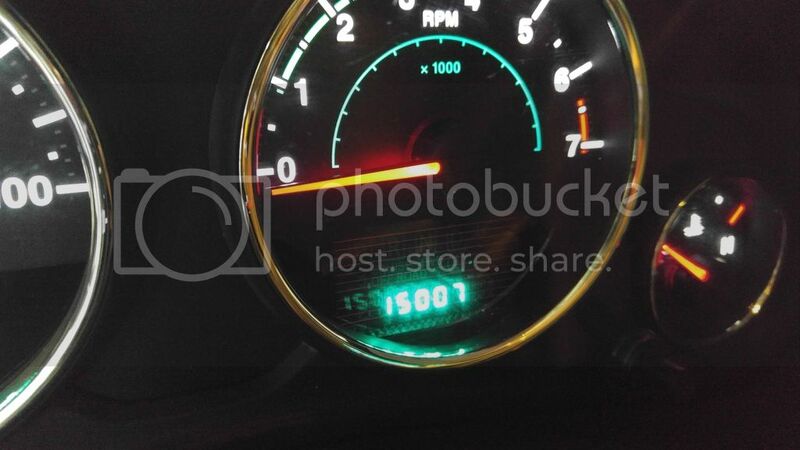 This Jeep is painted “Bright White” in color. The paint shows some minor marks throughout but is in overall great condition.